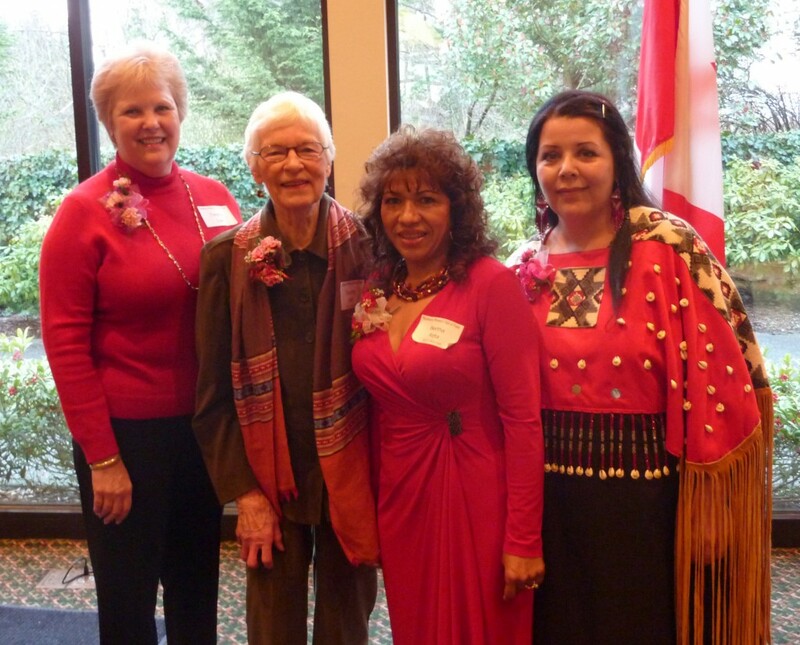 Left to Right:Teresa Loe (great niece of Legacy Awardee the late Olga Hawkins), Dorothy Dale, Bertha Reta and Loree Larson (daughter of honoree the late Silversong Belcourt). Between its founding in 1999 and it’s 14th celebration in 2012, the Northwest Women’s Hall of Fame honored 53 contemporary women for outstanding community contributions in a wide variety of fields. Since 2002, the YWCA NW Hall has honored 11 women from our region’s early history for exceptional, enduring achievement.